Cole recruited Steve Lacy, Nico Segal, Boi-1da, and more for his fourth studio album. 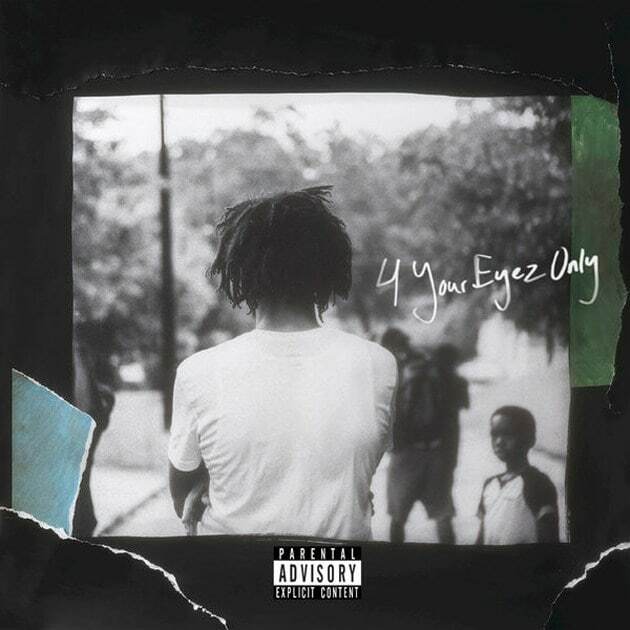 On Thursday night, J. Cole delivered his fourth studio album, 4 Your Eyez Only. The North Carolina rapper handled the vocal responsibilities on his own, once again, but he did recruit a variety of producers and musicians to assist with production on the ten-track project. Among the notable contributors are Steve Lacy, Nico Segal, Boi-1da, and Frank Dukes. See the full production credits from the album below. Written by Jermaine Cole. Produced by Vinylz for Vinylz Music Group, Sony/ATV Music (ASCAP), Boi-1da for 1Damentional Publishing LLC, Sony/ATV Tunes LLC (ASCAP) and Velous for Tyler Bryant Publishing Designee. Additional production by J. Cole and Ron Gilmore. Written by Jermaine Cole. Produced by Ron Gilmore for Ron Gilmore Music (BMI) and Elite for Elite That’s Me (ASCAP.) Additional production by J. Cole. Written by Jermaine Cole. Produced by J. Cole for Dreamvillain, admin. by Songs of Universal (BMI) and Deputy for JustCutDaCheck (ASCAP). Additional production by Ron Gilmore, Elite and Chargaux. Written by Jermaine Cole. Produced by J. Cole for Dreamvillain, admin. by Songs of Universal (BMI). Additional vocals by Ari Lennox, additional production by Ron Gilmore and additional arrangements by Elite. Written by Jermaine Cole. Produced by J. Cole for Dreamvillain, admin. by Songs of Universal (BMI). Written by Jermaine Cole. Produced by J. Cole for Dreamvillain, admin. by Songs of Universal (BMI) and Steve Lacy for Steve Lacy (BMI). Additional production by Elite and Ron Gilmore. Written by Jermaine Cole. Produced by BLVK. Co-produced by J. Cole for Dreamvillain, admin. by Songs of Universal (BMI) and Elite for Elite That’s Me (ASCAP). Additional production by Childish Major.